The Santallúcia Restaurant has two features that make it a very special place: Mediterranean cooking and fabulous views of l'Almadrava, one of the prettiest coves on the Costa Brava. 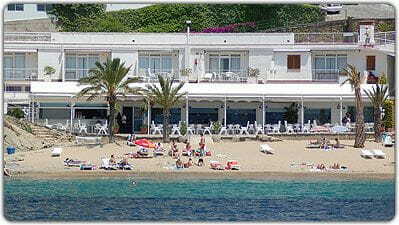 The Santallúcia Restaurant is located in Cala L'Almadrava in Roses, near the Apartaments Santallúcia complex. 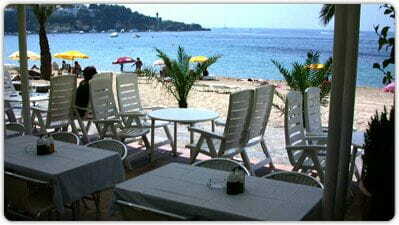 It has tables inside and a wonderful terrace where guests can enjoy their meals right next to the beach. It is a family restaurant, and is perfect for children to play on the beach while their parents end their meal with a delicious dessert or a coffee, as they are never out of sight. 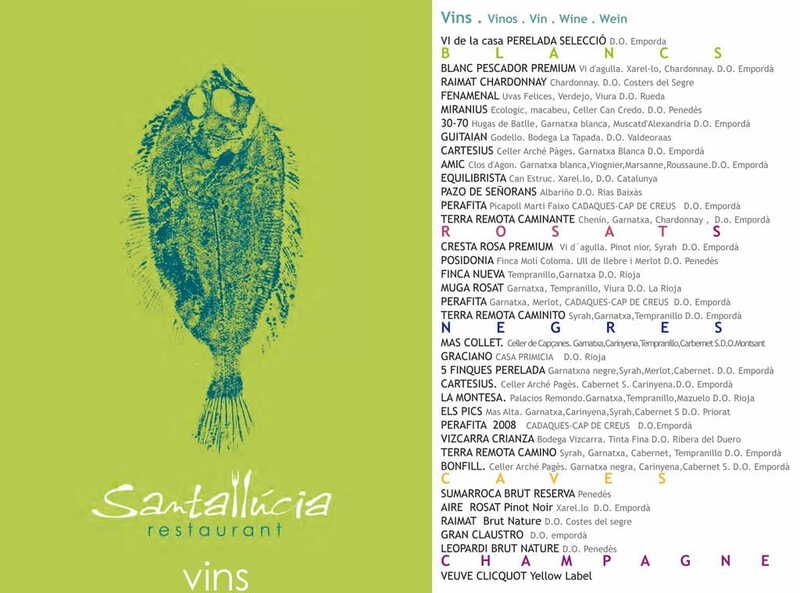 Olive oil, fish freshly caught in Roses and meat from Girona form the basis of a menu that suits all tastes. Don't miss their excellent seafood paella or noodles, which together with the views of the sea and beach form a perfect combination of sight and taste in a pleasurable multi-sensory experience that is hard to forget. 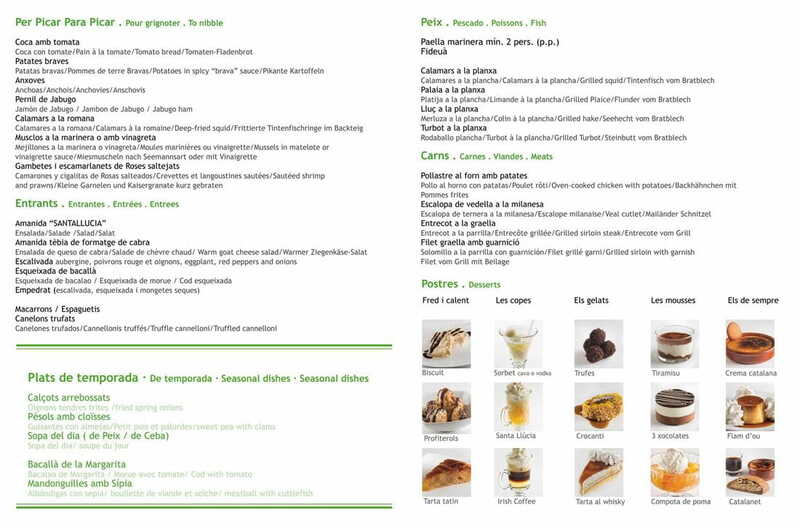 The menu has 3 main sections: starters (salads, shallots, cold roast vegetables, codfish salad, codfish and white bean salad, Spanish omelette,...), meat (entrecote, fillet, breaded cutlets, meatballs,...) and fish (paella, noodles, squid, mussels, codfish,...), accompanied by a fine selection of wines from the Empordà and other well-known Catalan and Spanish wine-growing regions.